Dimension Drive Get Dimension Drive at MomoCon and win a TV! Get Dimension Drive at MomoCon and win a TV! Yeah, you read that right, we are so happy about the news of our first showcase in the USA that we decided to celebrate it in the craziest way we could think of! 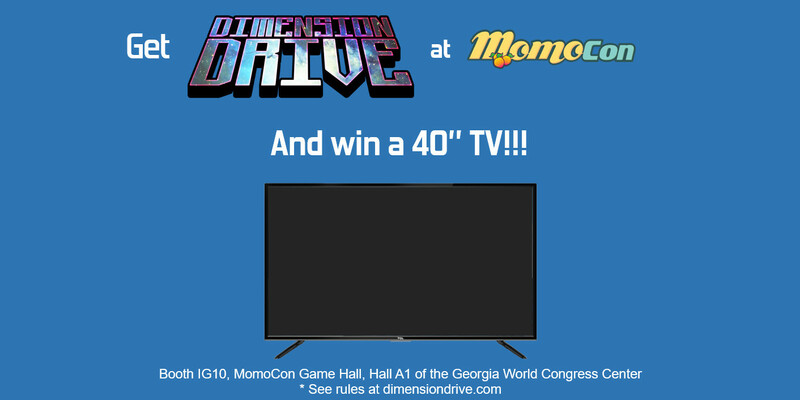 Come visit us at Momocon, buy Dimension Drive at the showfloor and you may be the winner of a Full HD 40″ TV. 1) Buy the game directly from us at the showfloor of Momocon. 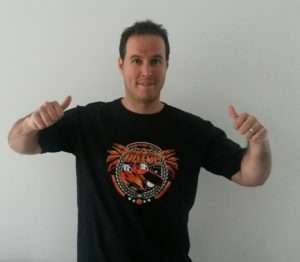 2) Sunday at 14:00h (EDT) we will pick a winner randomly among all the people that buy the game until that moment. 3) In case of a no show, 2Awesome Studio team reserves the right to decide at their own discretion the winner. 1) Play and successfully finish level 1-2 in Hard mode. 2) We will note the highest score of each day. 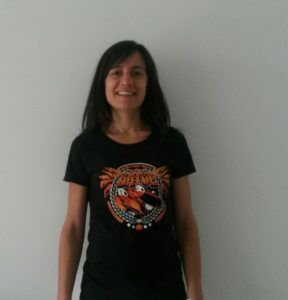 3) Sunday at 14:00h (EDT) the highest score among all days will win the prize. 4) In case of a draw, or a no show, 2Awesome Studio team reserves the right to decide at their own discretion the winner.